It's easy to let your money sit in your current account until you need it, but if you find yourself with a bit of extra cash, you should make sure it is working for you. Investing can produce sizeable dividends, but you also risk losing your investment. This article advises the best way to save your extra cash without running the risk of losing out. You can earn much more interest when you don't have to pay tax on your savings. Using a Cash ISA allows you to save £5,760 this year totally tax free, and any money you have in the account at the end of the year stays tax free for the next year. It might be convenient to take out a default savings account with your current bank, but you could be saving money if you compare interest rates and benefits of different accounts from different providers before choosing. If you are a non-tax payer or you have a low income, make sure you have filled out the right forms to avoid paying tax on your savings when you don't have to. If you have already overpaid, you can claim your taxes back. The HMRC website explains the process. If you've invested in a fixed rate bond, look into what will happen to the interest rate after the bond matures. It could be that you'd make more money by transferring the amount into a brand new bond or account to take advantage of an introductory offer. Sometimes local building societies give preferential rates for people living locally. Compare these to the rates of larger nationwide banks.Deals do often change, but some of the building societies known to offer this are Loughborough, Cumberland, Progressive, Vernon, Ipswich and Hanley Economic. It's pretty unlikely that you'll find an interest rate on any of your debts that is lower than the interest generated from your savings. 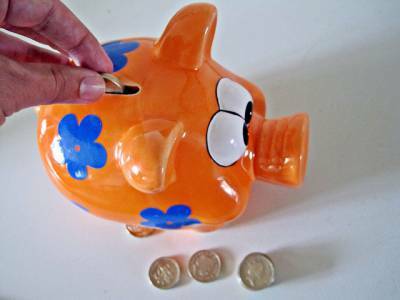 If you are in debt, you don't need any savings (apart from perhaps a small emergency fund)  pay off your debts before you start saving. If you have no idea how much is in your account, you might end up spending without thinking it through. However, if you are aware at all times of how each purchase is going to affect your bank account and potential savings, you might make wiser decisions. Use budgeting software such as our Money Dashboard regularly and you'll find it easier to take the reins of your personal finances.